A mixed amateur choral group founded in the early 1980’s. 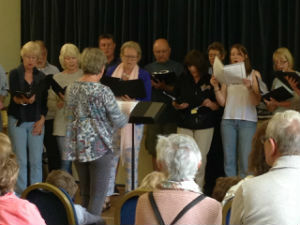 We have performed in many venues over the years: in concerts, Church and charity events, and have joined with Pirbright Players’ productions on many occasions. We have a very varied repertoire and welcome new members who enjoy choral singing. Rehearsals are held on Monday evenings in Pirbright Church. There are no auditions though some previous experience is recommended.